In the singular landscape of Matthew Rohrer's first book of poems, the weather, the food, even the household appliances come to life. "A few pages into this book," says the Minneapolis City Pages, "and you'll start glancing sideways at the terrain, which . . . looks suddenly vital." These quirky poems entertain and delicately point to truth. 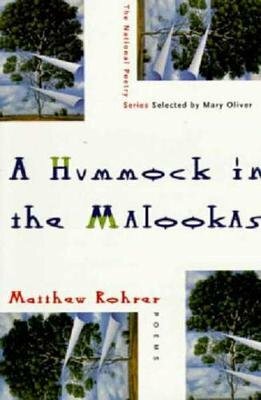 Rohrer illuminates a land of skewed realities where the impossible seems familiar, the sacher torte is afraid to be eaten, and it's always dusk in the forest. "What [Rohrer] tells us about his world, in language that is both lush and exact, is likely to be a haunting experience. "Mary Oliver Raised in Oklahoma and an MFA graduate of the Iowa Writers Workshop, Matthew Rohrer now lives in New York City.